Who or what determines if a house gets the wreaking ball or is saved for renovation? 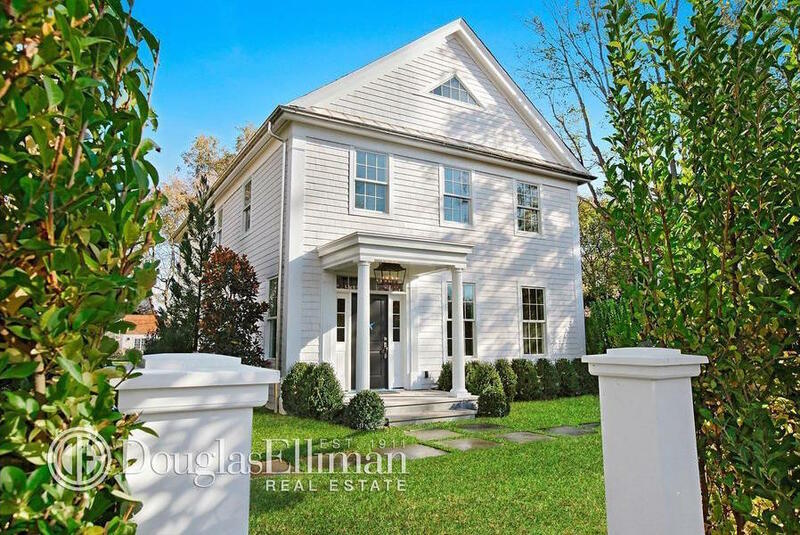 48 Grand Street has a great price point for a Sag Harbor Village spec project. 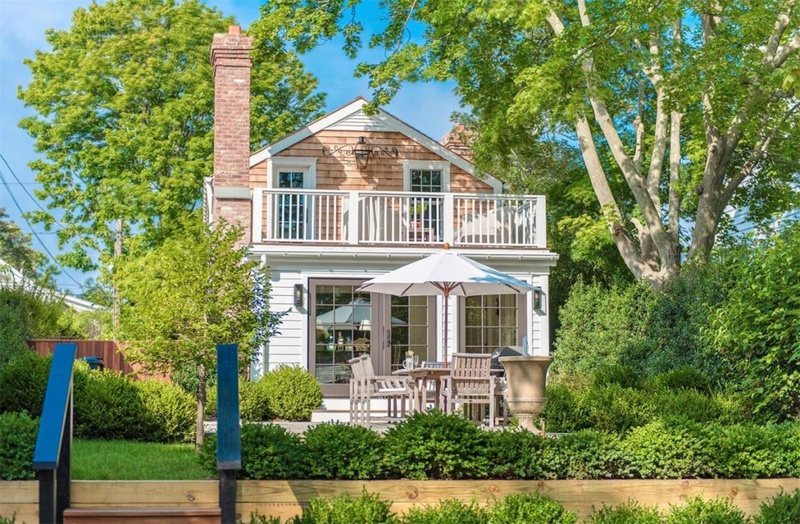 1) Traditional or historical homes in Sag Harbor are the norm. Anything else is out of character. 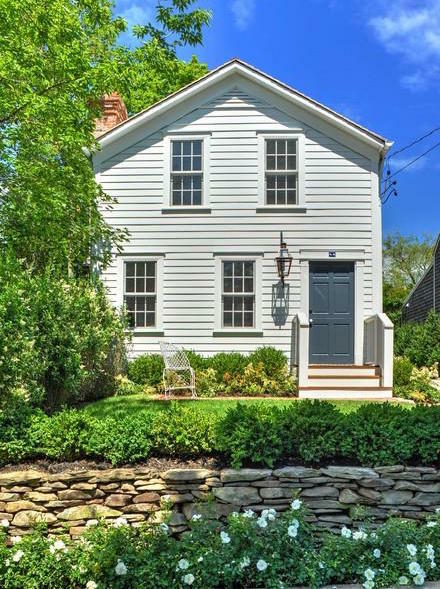 Sag Harbor Village is known for homes that are richly detailed and appear shoe horned onto smaller lots. 3) The folks at the Sag Harbor A.R.B. take their jobs very seriously. Local code prevents the demolition of a home within the historical district, as well as homes with historical relevance unless the owner can meet a strict laundry list of prerequisites that allows them relief from the current code. In other words it’s okay to put the house back the way it was originally built, as long as you don’t demolish it in the process. 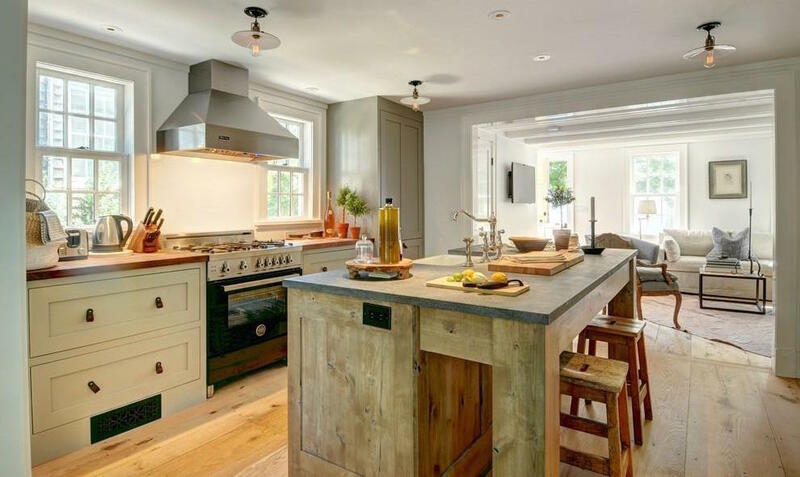 According to Sag Harbor’s best contractors, it’s easier to get a building permit to renovate or “restore”, when in many cases rebuilding a new version of the same house makes the most sense. 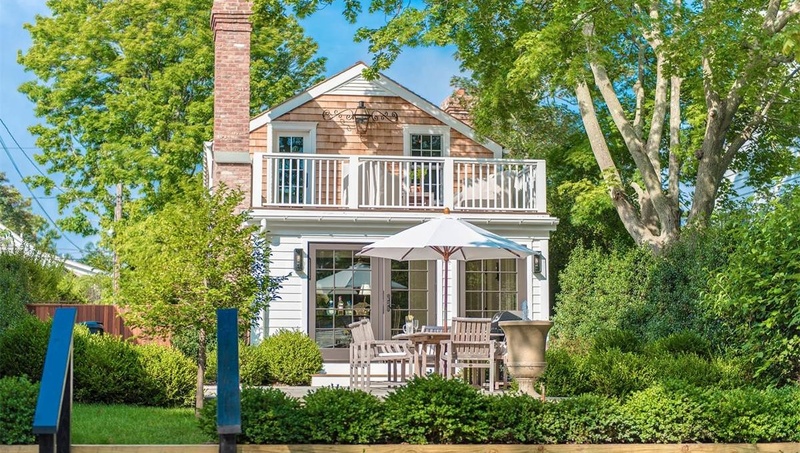 48 Grand Street is the classic Sag Harbor conundrum. Our “Ben Franklin” checklist and grading system may help you understand the methodology behind throwing away a house. The Reasons For vs Reasons Against Demolition is a loose guideline in determining whether a home is worth saving. First and foremost, owners (and their builders) should be aware of the rules and requirements pertaining to set-backs, pyramid laws & several other updates to the town code. 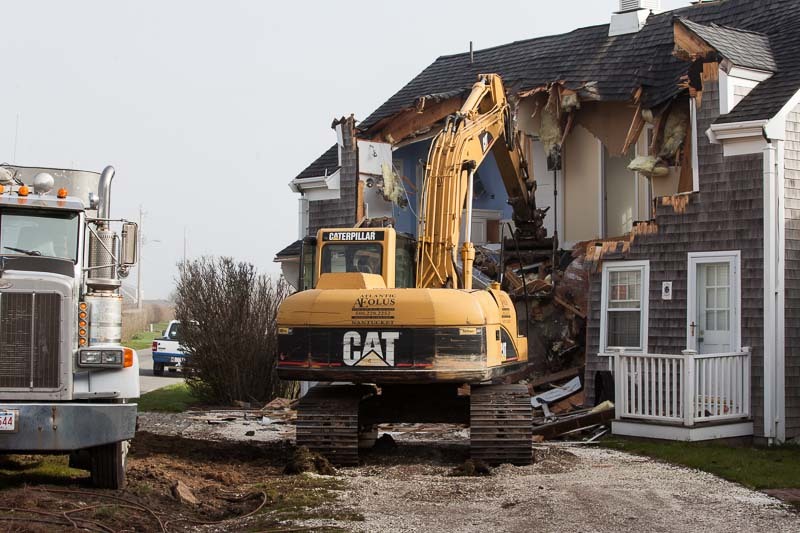 Tearing down a pre-existing structure requires the new structure conform to the new code. Right out of the gate you should know your building envelope, elevations, energy-regs, and every covenants and restrictions as far as design and material requirements. If our research is correct, we assumed in this specific case, we’ re good to go in either direction… so let’s begin some “Rehab Therapy”. 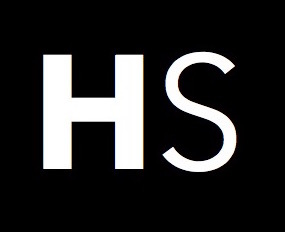 ✓- = Poor condition/recommend replacement. You could work with the current siting, making adjustments to the landscape, and screen or mask the awkward street exposure. However, first impressions and curb appeal is generally the biggest goal in a project like this. That said, stepping the house back 30 feet from the road and centering the foundation onto the property would allow several key improvements ; first and foremost the need for more privacy, symmetry, and plenty of room for re-vegetation, hedging and still have ample back yard for a pool, showcase gardens and entertainment space. It’s safe to say, a new home would also fit within the required set backs as well. It was routine for structures from this time period to sit atop of locos posts. Later red brick foundations were added somewhere under the kitchen area to provide dry space for the heating system(s), and a new electrical service. In this case a new foundation is of course needed. Also typical for this time period, they used actual 2 x 4 (full “2 X”4 inch) framing materials and sometimes larger. The current framing material is acceptable. The new spray foam technology and the R-Factor provided means there’s no need to “sister” framing materials to gain the needed depth to meet the new energy requirements. Everyone loves the beauty and quality of restored vintage wood floors, trim detail and old doors. They add character and rich detail. No matter which direction you go, consider saving and re-purposing the materials. The windows are adequate but in a few cases in need of replacement. The good news on a small home like this, the cost to purchase historical look-a-likes or replacement windows from Marvin or Lincoln would not break the bank. The shingles appear to be in poor shape. You could attempt to bring them back to life with a wash, and a wood preserve or a bleaching oil. However, removing the old siding now allows the owner to inspect & repair any damaged sheathing and add an energy efficient vapor bearer. 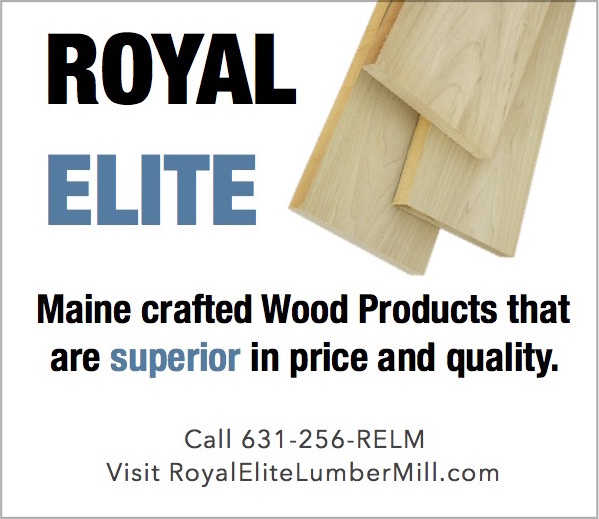 The new trim and siding detail will add value and make the home appear fresh while allowing for any new window and door frame upgrades. Replacing the siding is recommended. With this size of an investment, use the opportunity to inspect and replace any needed flashing. A new roof is almost certainly recommended and a prerequisite. If the lath and flashing are in good shape, then the cost will be mitigated and so will any future headaches. Generally homes of this age have questionable and sometimes obsolete wiring systems and service requirements. The outlets are usually not well placed, and the service requirements are not up to today’s “lifestyle” standards. To meet today’s electrical needs consider making a wise decision and rewire from top to bottom. The good news, you can mitigate costs by not adding phone jacks and minimize the number of cable junctions to one or two locations. The waste and water lines seem to be adequate. We assume the kitchen and baths will need upgrades, and a new laundry area will need a water and waste line. There might be a lot of new plumbing needed, and in many cases it’s best to start over especially if you’re removing and replacing the old radiator/hot water heating system. If the house were gutted a new system would need to be installed, with upgrades to both heating, adding new ERE (Fresh Air Returns) system as well as Air Conditioning. Masonry Work: Grade = ✓- or X. The current chimney and flues appear in good shape. Some re-pointing or minor repair work is needed. Normally this would be a big savings as opposed to starting out new. However, there is added work needed after replacing the non existing foundation that makes this a non-starter as far as saving the chimney. Our recommendation if a simple fix can not be achieved, consider taking it down and instead go with a non masonry replacement fireplace and flue system. You could replace this with one that has a “masonry look”. On a positive note, with older homes you also inherent some mature landscaping. A few select items would need to be moved around, and new plantings added. New screening material and considerations made to the curb appeal, gardens and landscape features would be given regardless of a rehab, renovation or new construction project. When all is said and done.. after gutting down to the original studs and removing the old wiring, siding, roofing material, boiler, plumbing and electrical fixtures.. and excavating what’s left of the foundation, you’d be left with a frame, a few vintage doors, trim, flooring materials, and some assorted windows. However, if we break from reality for a moment.. Modeling this project after another “comparable” or template, 38 Howard Street was a successfully planned rehab with a few major differences. The wiring and electrical service had been previously upgraded. The plumbing, water and waste lines were in the correct locations and in great shape. The foundation was also adequate to support any new upgrades. Exterior cosmetic upgrades included new windows, doors, siding, as well as some big improvements to the front and rear facing facades. When they gutted the old kitchen, they were able to include improvements to the basement and exploited the opportunity to reconstruct the entire back section of the home. Creating the new kitchen allowed them to get all new plumbing lines, electrical service and new HVAC throughout the entire house. They took down the old furnace flue and replaced with a beautiful antique brick chimney and interior firebox. They took full advantage of the added basement space, that featured a laundry, workout space and a Sauna. The added amenities also boosted the wow-factor as well as increased the end value. The new foundation section also helped to support a 2nd story deck that created a private lounge off the master bedroom. When completed the entire back section appears brand new. The estimated budget for the rehab was roughly $400K. We estimate the budget was kept in check with smart DIY resources and well planned self build management. That said, necessity is often the mother of invention. If you were forced to save 48 Grand Street because of code restrictions, or budget constraints … DIY resources, and self-built management experience aside, here’s how this might look from a renovation/ rehab prospective. 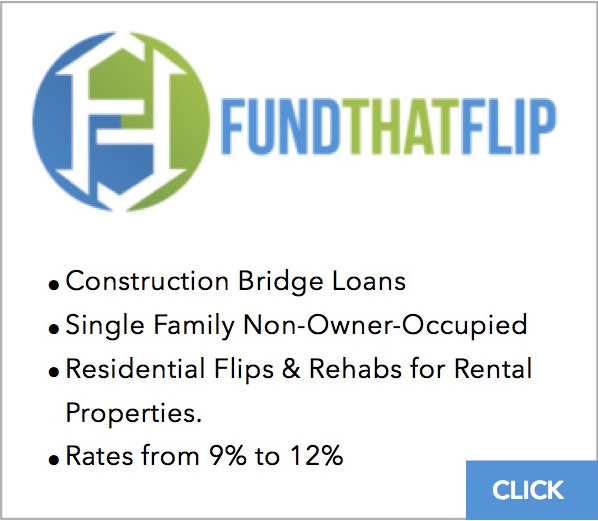 We ran the numbers to budget for a project that included a “House Lift” and a new pre-cast ‘9 foundation and estimated a total cost of $650K. Included in our estimation is a new roof (w/rafter repairs) non masonry flue, news windows, sheathing repairs, new siding/trim, gutters. dry wall, painting, trim details. as well as new kitchen and bath upgrades. This rehab project when complete will effectively be a new house. 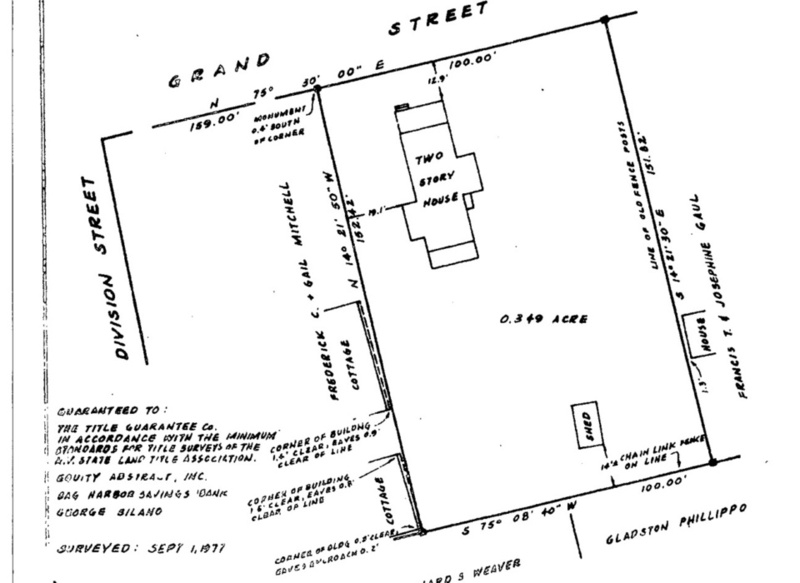 If the house were torn down and you used this opportunity to build slightly larger with the same $650k budget. 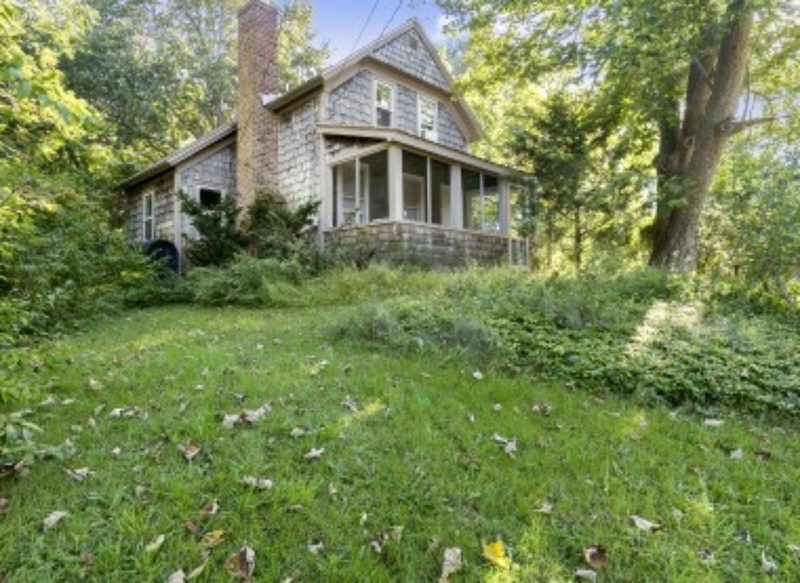 Please see 77 School St as a visual example of a Federal style home, perfect for this lot and fitting for the Sag Harbor Community. This is a 2,785 sq ft (larger home) with a partially finished basement in a modular format with $200k in onsite finishes and upgrades. If this were done as a stick-build, add an additional $300K for labor and local material costs for a total of $950K (plus $85K for landscape improvements). Stick/Custom build cost of $1.885M with an end value estimate of $2.850M. As you can see from this example the smart money would be on the School Street modular, but given the conservative nature of the Sag community, conventional wisdom would dictate executing a new stick built replica. However, renovating this home would be simply out of last resort. The good news, this project received an overall ✓+. The offering price point would work out well for any one of the three examples. Perhaps there would even be enough left over to pay your therapy expense after navigating your way around the Sag Harbor ARB.